Signing up for training shouldn’t require training. 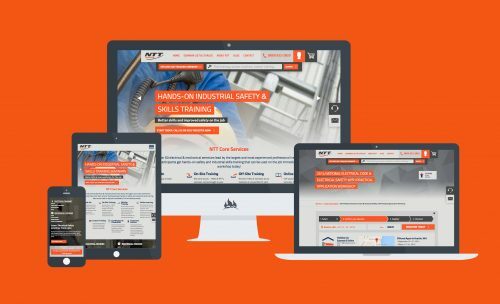 The previous NTT site struggled with messaging as well as supporting a customer's journey through search and the checkout process. 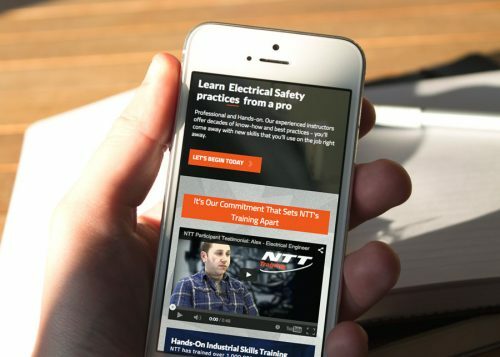 Unable to support the business model of allowing users to sign up confidently for training courses online, NTT needed a digital partner to help them structure their course data, information, and interactive experience in a clear and effective manner. We created a site which brought clarity to the user's process, as well as flexibility for the client to update courses. With a thoughtful attention to SEO throughout the entire process, we armed them with a site to succeed with their business model and help turn potential customers to trained individuals. 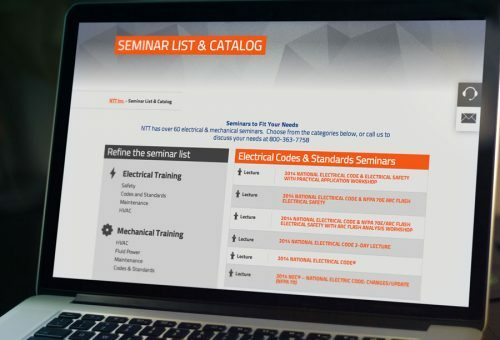 How do people register for a training seminar? It’s not just dates, and a description of the course. There are hotels to stay at, proximity considerations, reams of supplemental data evaluated to before we can proceed confidently. 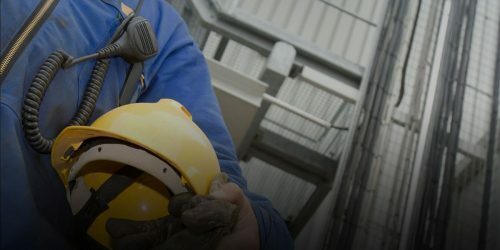 FIREANT developed a website that presented all the necessary information to users allowing them to make decisions effectively and with confidence. Providing users with contextually relevant data has increased the both sales and leads generated by the website. We worked closely with the client to clarify and simplify the Information Architecture providing a more intuitive user experience and greater content understanding. The eCommerce solution for NTT features a WooCommerce API integration for a customized checkout process and a Backbonejs checkout application. FIREANT completed custom WordPress plugin development and a Facebook and Twitter feed integration. We also created a custom CSV upload with PHP/JSON API to access course data. 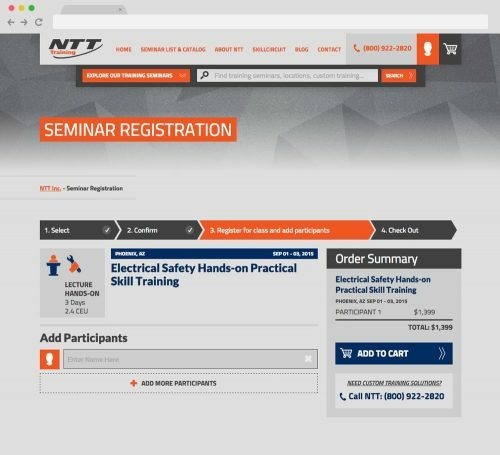 Simplifying the data model allowed us to implement a streamlined checkout process and make the site do what it is intended to: guide and help the user through signing up for their training seminar. Giving a website flexibility to grow and change content helps a client understand how that solution can change with their business model. 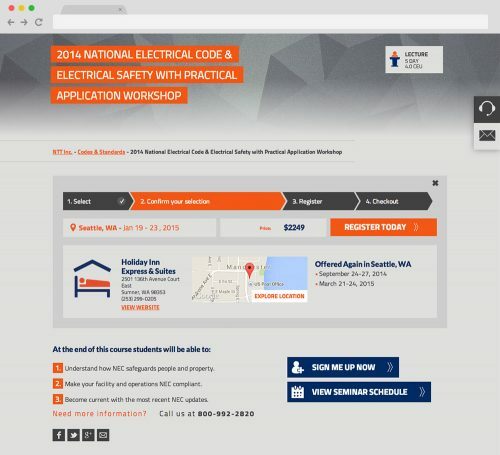 The solution we made for NTT has a schedule importer, so they can align their upcoming courses with the course detail, no coding necessary! Easy for the client, easy for the user to find what they are looking for. 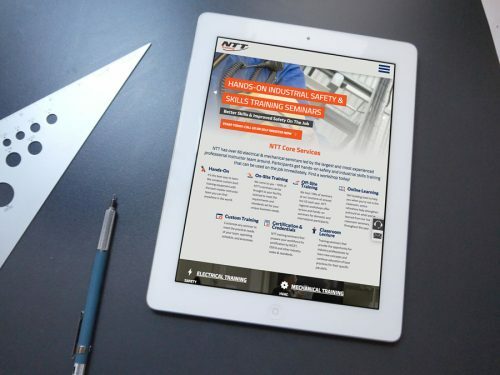 With a thoughtful attention to SEO throughout the entire process, we armed them with a site to succeed with their business model and help turn potential customers to trained individuals.